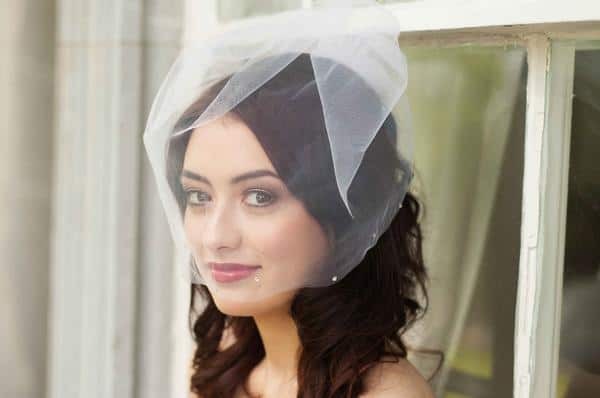 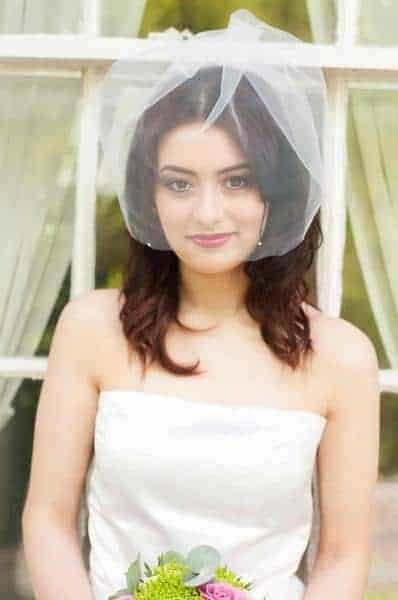 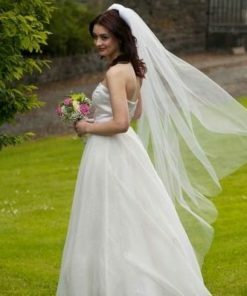 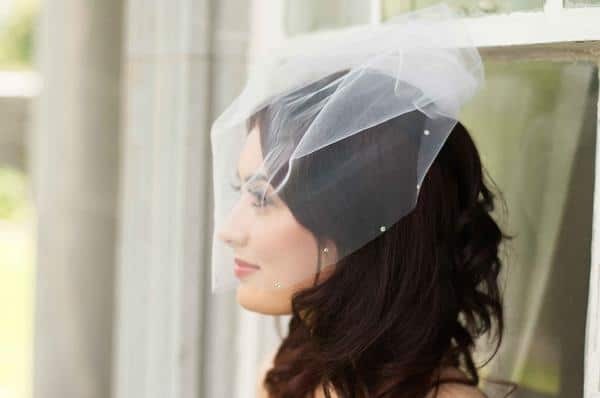 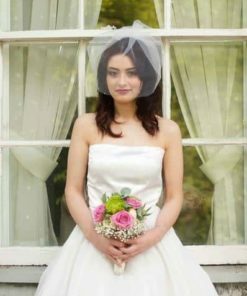 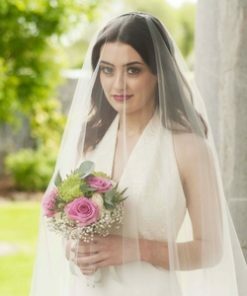 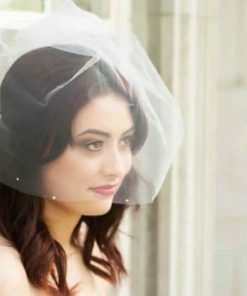 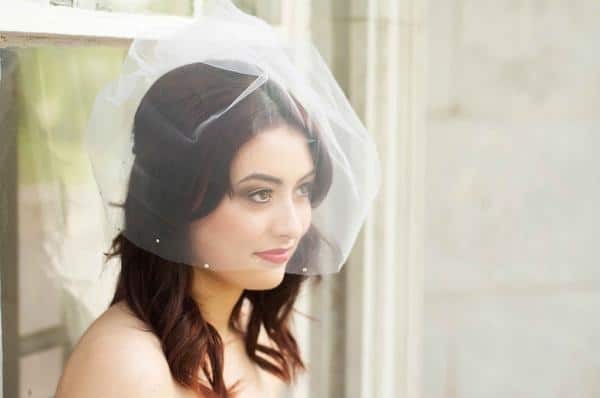 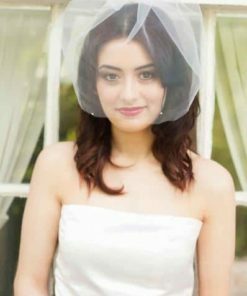 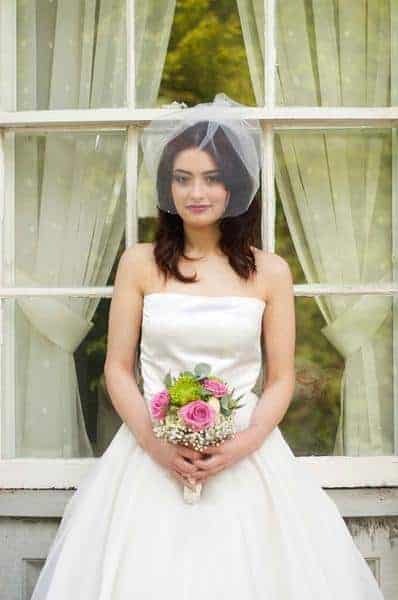 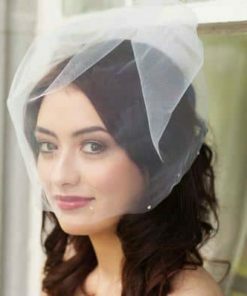 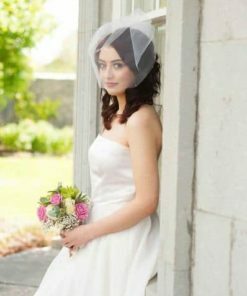 An elegant soft tulle birdcage veil that gives off an angelic look. 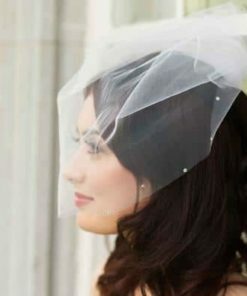 The tulle is gathered and hand sewn to a metal comb which gives it more volume. 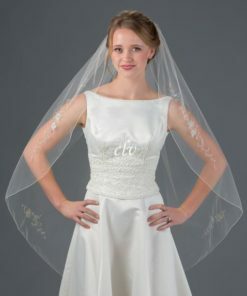 Veil is finished with scattered rhinestones along the edge.